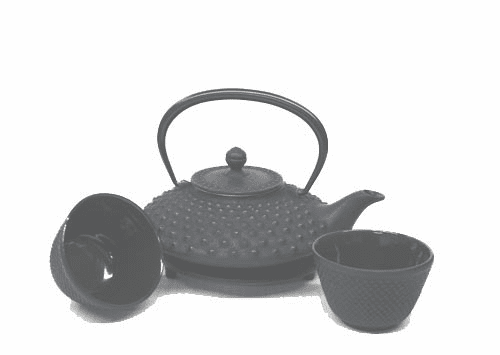 Black Hobnail Cast Iron Tea Pot 20 oz. 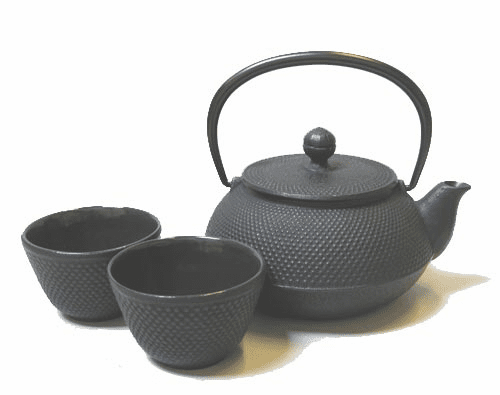 with Two Matching Cups 4 oz. 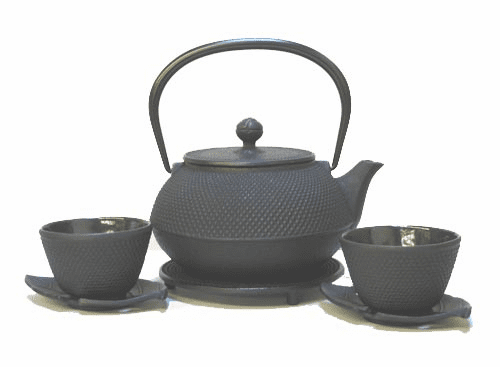 Iron Teapot Set, 20 oz. 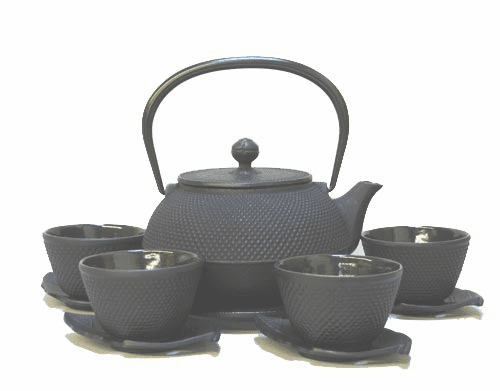 Our beautiful cast iron sets consists of teapots and trivets and or cups. 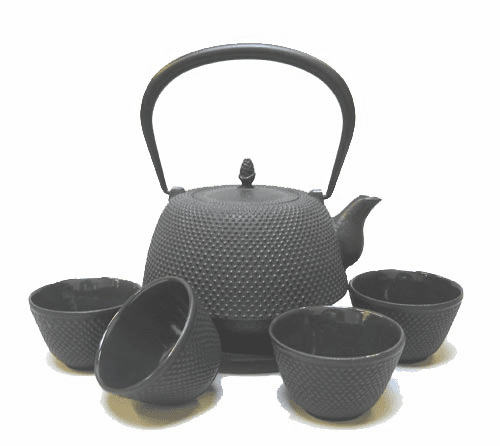 Please examine the pictures and descriptions carefully as they show exactly what is offered in each set. 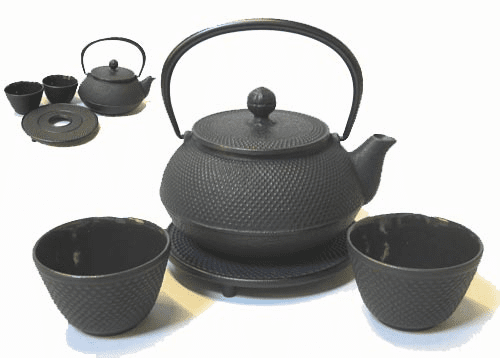 Please refer to our online use and care instructions before purchasing. 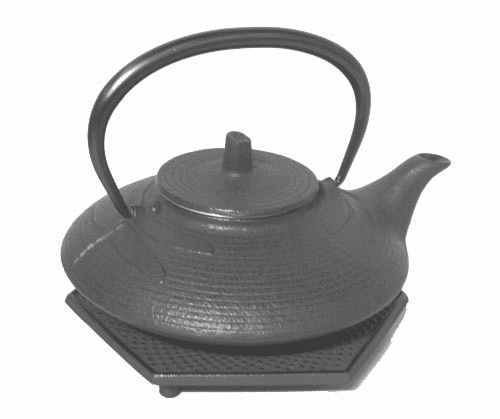 How to properly use your cast iron teapot or tetsubin. 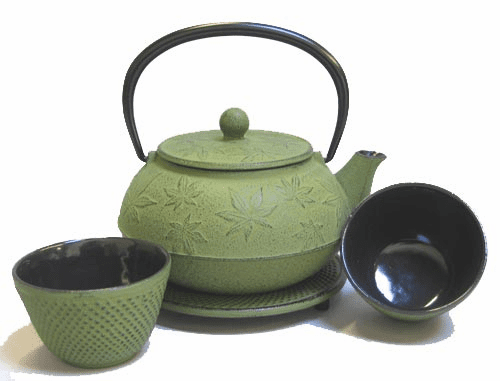 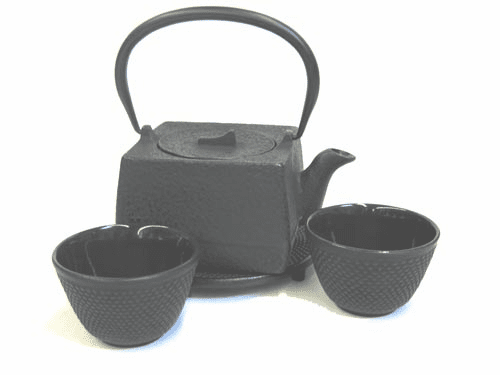 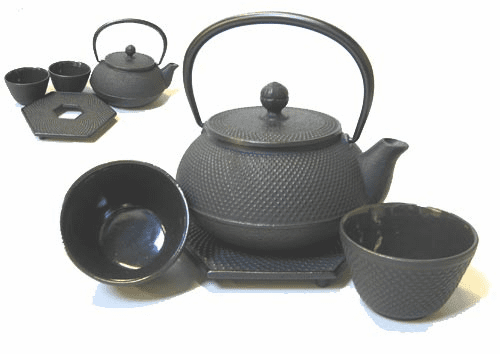 All our cast iron teapots, cups, trivets, teapot warmers and coasters are made in Japan. 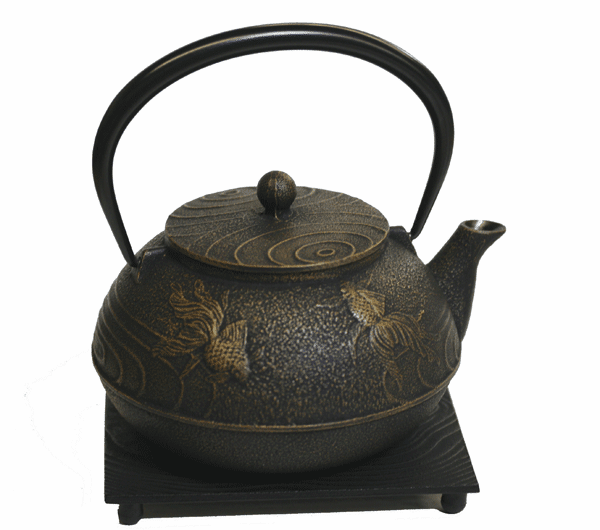 Click on individual pictures to see teapot descriptions.